We foun the bidet washlet very convenient and perfect to use , though we had a bit of a snag fitting it to the toilet seat . Other than that , all well and recommended. Works great! 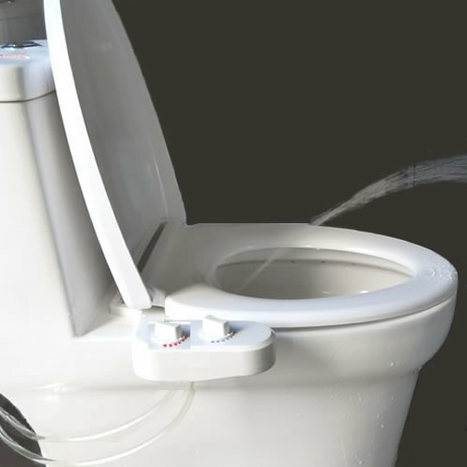 Not that complicated to install - the complications came from poor piping arrangements in my bathroom.. I have order Non electric hot / cold water under seat washlet. Product received in time and working good. I am pleased with the quality of this product and the excellent service of the suppliers. Simple controls on the side of the unit enables water flow rate to be controlled, water temperature, as well as the angle of the spray / nozzle. 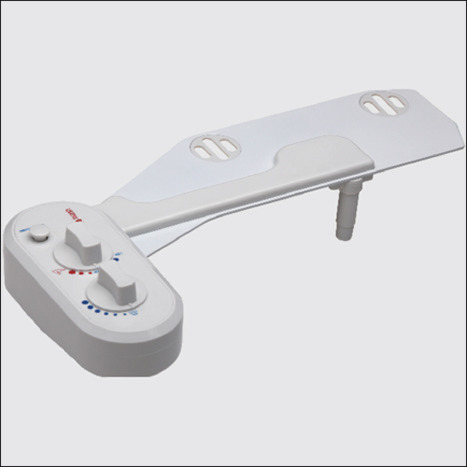 HYG-700: Non electric under seat hot / cold bidet washlet. PLEASE NOTE: the unit requires hot water from the boiler to be present at the unit to enable it to blend with cold water to produce a warm water wash. 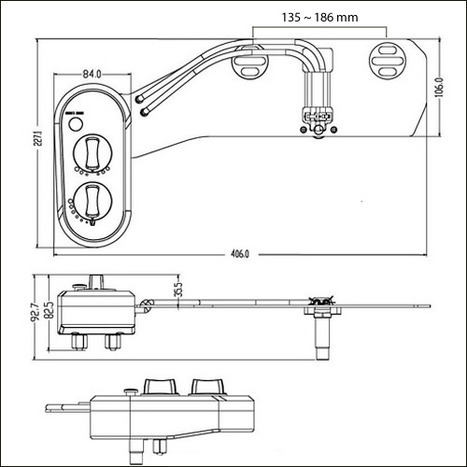 This model has one nozzle and hot cold water connections, the unit can be self-installed in around 20 to 25 minutes by a competent DIY enthusiast, any doubts use a plumber. Full installation instructions included. NOT SUITABLE for use with quick release toilet seat fixings. The real unique feature of this unit over and above similar products is the adjustable angle nozzle. No more wiggling around to get the perfect clean, simply use the adjustment level right next to you! Its also perfect for households with multiple members since each of their sitting positions will differ. To view larger images and additional information, click on the image to the left which will the load main page where more detailed information is available. Postage is free with in U.K. & from £4.95 to other countries dependent on location.